The missing persons unit, known by its Hebrew acronym EITAN, is charged with searching for them. Three have been found in the past year: Pvt. Livka Shefer, who was killed in 1948; Lt. Yakir Naveh, whose plane crashed in the Sea of Galilee in 1962; and now Baumel. “The IDF is dedicated to returning all soldiers who are missing or whose burial place is not known. We put a lot of effort and a lot of resources into this,” Israeli said. However, many of the details surrounding the repatriation of Baumel’s body as part of an effort dubbed “Operation Bittersweet Song” are still secret and subject to military censorship. 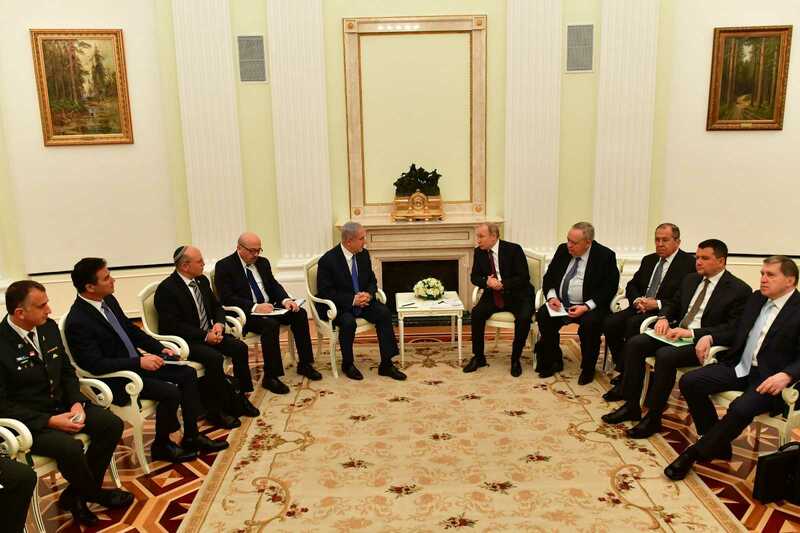 Until Thursday, when Russian President Vladmir Putin publicly acknowledged it, Israeli officials refused to confirm reports that Russia was a key intermediary in the search effort, saying only that a “third country” was involved. 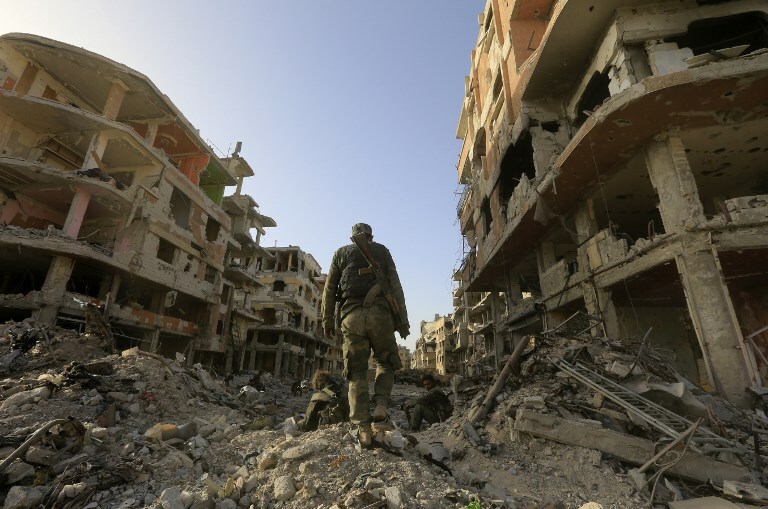 Israel won’t comment on claims by a Palestinian terror group in Syria that the remains were uncovered in the Yarmouk Palestinian refugee camp outside Damascus. According to Israeli, a degree of ambiguity is necessary “in order to not harm future operations,” specifically the efforts to bring back the remains of two other IDF soldiers missing since the Battle of Sultan Yacoub: Tzvi Feldman and Yehuda Katz. Israeli said the efforts to locate Feldman and Katz are ongoing and that the discovery of Baumel’s remains helped focus the search. Katz’s sister on Wednesday said her family still hopes he is alive. “We, the Katz family, continue to wait for Yehuda,” Pirhiya Heyman, the sister of the missing soldier, told Channel 12. “We aren’t losing hope, and even though it seems unreasonable, still hope he’s alive,” she said. Feldman was a crewman in the same tank as Baumel. Katz served in another tank, which came under attack some two kilometers away. “There are reports that have been collected over the years and testimonies that were given. We’re still searching to locate them and hopefully bring them home,” Israeli said over the phone late Wednesday night. According to Hebrew media reports, approximately 10 other bodies were brought back to Israel along with Baumel’s this week and tested in the Abu Kabir Forensic Institute. They were not found to be matches for Katz or Feldman. Israeli said discussing the methods used to bring back Baumel could make it more difficult to find and return Feldman and Katz. Yet on Thursday, a senior Israeli diplomatic official revealed to reporters that Russia was continuing to help search for the remains of Feldman and Katz in Syria. On Thursday, Russian President Vladimir Putin confirmed that his country’s military, with Syrian assistance, had retrieved Baumel’s remains. “Russian Army soldiers found the body in coordination with the Syrian military,” Putin said during a joint press conference with Prime Minister Benjamin Netanyahu in Moscow. In another Channel 12 interview Wednesday night, Col. (res.) Yaakov, the IDF intelligence officer who led the two-man team that searched for Baumel and whose full name is not cleared for publication, offered a glimpse into the secretive, achingly frustrating, but ultimately successful intelligence effort that led to Wednesday’s triumph. Though the military had been searching for the remains of Baumel, Feldman and Katz since they went missing, in the beginning of 2002, the EITAN unit established a new two-man team charged with locating the three soldiers. The team spent the following years poring over a vast number of piecemeal data points, tiny shreds of intelligence gathered from diverse sources over the years, to try to narrow the search and find new leads that might shed light on the whereabouts of the soldiers. “In the last year, the conditions came together, and we arrived at a complete picture, the kind that let us pinpoint precisely where the body was to be found,” Yaakov told Channel 12. The intelligence effort was painfully slow. “The information came from many places. We examined a huge amount of information at varying levels of credibility. It’s Sisyphean work, sorting out the correct information, zeroing in on the information that can be corroborated — until the picture clears and you find yourself directed to the specific place in the particular country where he is located,” Yaakov said. Many disparate shreds of information pointed to Baumel’s burial at the site where he was found. “We checked other places as well, which slowly, eventually turned out to be incorrect,” the colonel said. With that information in hand, Israel was able to direct the Russian military to the location where it believed Baumel to be buried. Baumel was serving as a staff sergeant in the 362nd Armored Battalion of the 399th Brigade, when on June 10, 1982, his unit was sent into the area of Sultan Yacoub to set up roadblocks. The next morning, they encountered the Syrian military’s 1st Armored Division, and a bloody battle ensued. By the end of the fighting, 20 Israeli soldiers were killed and more than 30 injured. Baumel, Feldman and Katz were officially declared missing, and two other soldiers were taken captive and later returned to Israel in a prisoner exchange. 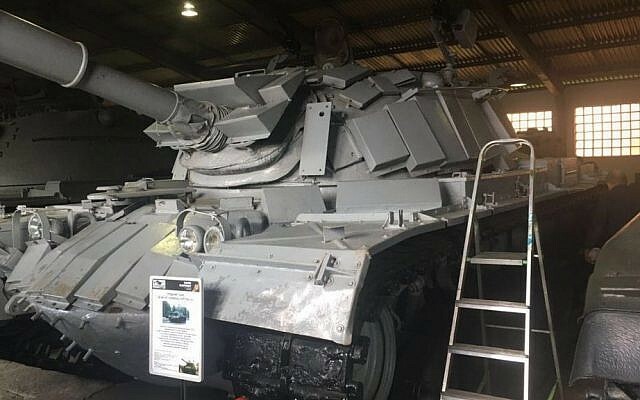 Several of the unit’s tanks were also captured by Syrian forces and one was brought from Lebanon to Syria as a trophy. 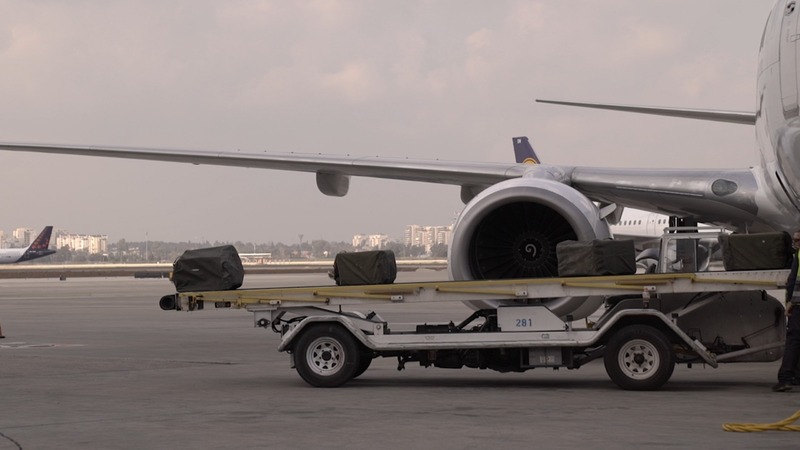 In 2016, it was returned to Israel by Russia. According to the IDF, the remains of Baumel, Feldman and Katz were believed to be in the control of the Palestine Liberation Organization in Syria immediately following the battle. In 1993, half of Baumel’s dogtag was passed along to then-prime minister Yitzhak Rabin by PLO leader Yassar Arafat, who claimed to not know the exact location of his body. “The other side knew what it was doing. 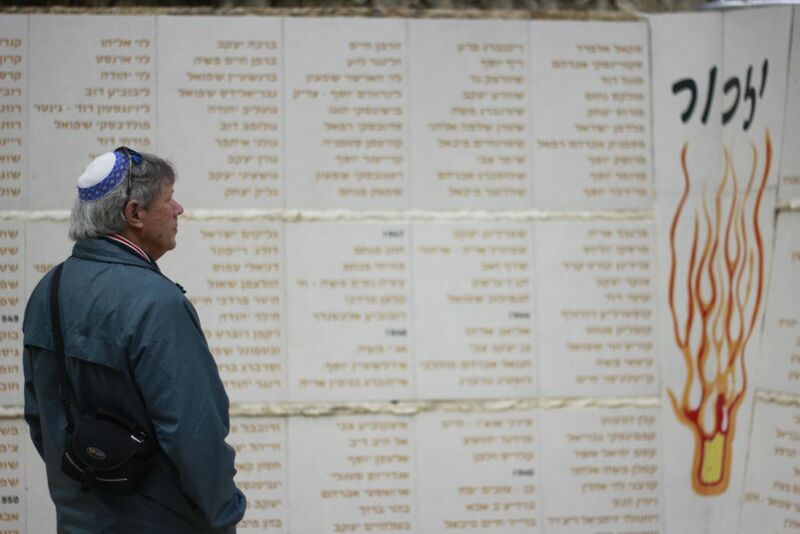 It guarded these remains well for 37 years,” Yaakov said. 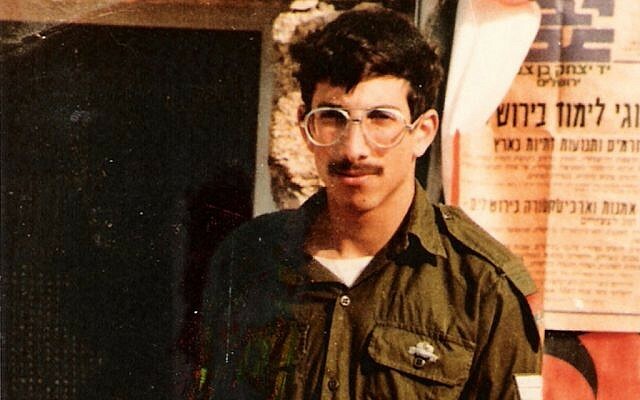 The final location, he said, only became certain a few days ago, when Baumel’s remains were accurately identified in the Abu Kabir Forensic Institute. The officer wouldn’t corroborate reports that the body was found in a cemetery at the Yarmouk refugee camp on the outskirts of Damascus — as reported in Arab media on Wednesday — noting that he wouldn’t give further details as long as the search for the other bodies continued. “What made the difference was the opportunity, the good conditions that presented themselves to get to the place physically,” Yaakov said. The Yarmouk camp was taken over by the Islamic State terror group in April 2015, remaining under its control for three years. In the spring of last year, the Syrian and Russian militaries regained control over it. In September, the Russian defense ministry said one of its soldiers had been injured in the operation to find the remains of the missing IDF servicemen. “Terrorists suddenly attacked the Russian servicemen involved in the operation. One Russian officer was wounded. Despite that, Russia was willing to carry on with the operation,” Russian defense ministry spokesman Maj. Gen. Igor Konashenkov said at the time. Yaacov said the site had been located a few years ago, but it took a great deal of time and effort to convince a sufficient portion of the intelligence community in order to mount an operation. His comments shed some light on the internal tensions inherent in such a difficult intelligence effort. “There were other teams in the [IDF] Intelligence Directorate, and in the MIA location unit, who thought otherwise. But we insisted, and it turned out we were right,” he said.